Welcome to our collection of Norfolk maps. Please choose an option below. 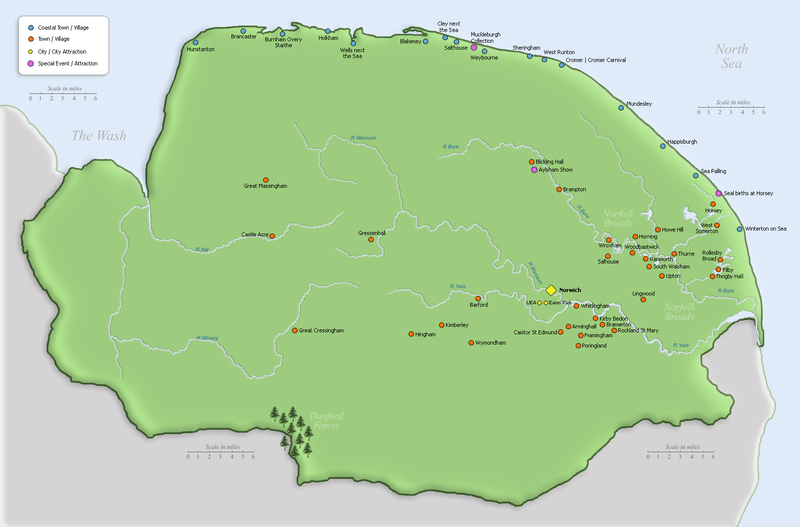 A Norfolk Map of tourist attractions & places to visit. A map of the UK highlighting Norfolk. A Map of Norfolk events taking place in 2018. This tourist map of Norfolk will help you plan your days out and discover the finest attractions Norfolk has to offer. Norfolk is a wonderful place to visit at any time of the year. The pins in the map below highlight the most popular places to visit for tourists. Click on a map pin for details of each attraction. Highlighted in blue on the map are the Norfolk Broads. In total they comprise of about 120 miles of navigable waterways – seven rivers and 63 broads. 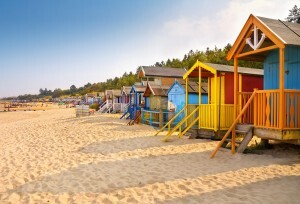 The North Norfolk Coast has been designated an Area of Outstanding Natural Beauty. 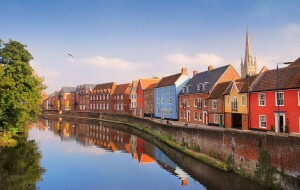 The fine city of Norwich is Norfolk’s capital with a fascinating medieval history. It boasts a Castle and two Cathedrals! Norfolk is located in the East of England, in an area known as East Anglia. Norfolk can be reached by car, train or air travel. It is roughly 75 miles North East of London. Norfolk’s neighbouring counties include Cambridgeshire, Lincolnshire and Suffolk. The North Sea surrounds Norfolk’s beautiful coastline. Here is a map of the UK, which highlights in green the location of Norfolk. Norfolk has an excellent road network with major routes to and from the City of Norwich that branch out to four main areas; Broadland in the East, Breckland to the West, The North Norfolk Coast and South Norfolk. The Coasthopper bus service is a dedicated bus service that runs along the Norfolk Coast providing an alternative option to walking. National Rail – Norwich train station provides a great central location for arriving in Norfolk with further rail routes to Sheringham and Great Yarmouth. Norwich Airport links Norfolk to popular European destinations and the Mediterranean plus UK connections to Aberdeen, Edinburgh, Exeter and Manchester. Explore our map of Norfolk showing upcoming events in 2018. Updated regularly we feature carnivals, festivals, shows and more. 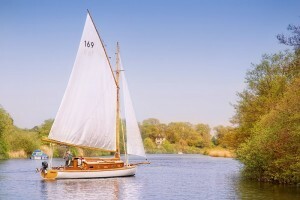 Great ideas for days out with the family this summer in Norfolk.